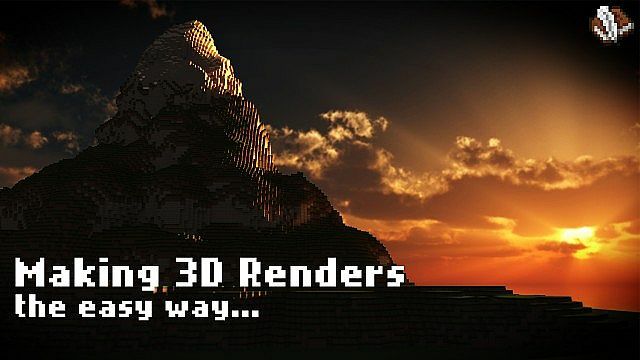 How to easily make EPIC Minecraft 3D Renders! 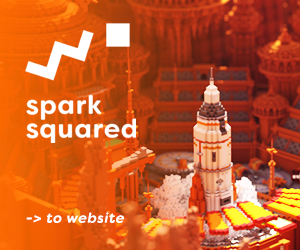 Welcome Ladies and Gentleblocks to a tutorial video I made on making epic 3D renders of your Minecraft builds using the brilliant Chunky. I realise other people have made tutorials on it before but here is my version of making them in a simple and easy way! Is it possible to take a schematic you made on a server and put it in a singleplayer world? Yes, using the Schematica mod for Forge. It's not yet out for 1.13 yet. Thank you SO much Oliver. This is amazing. 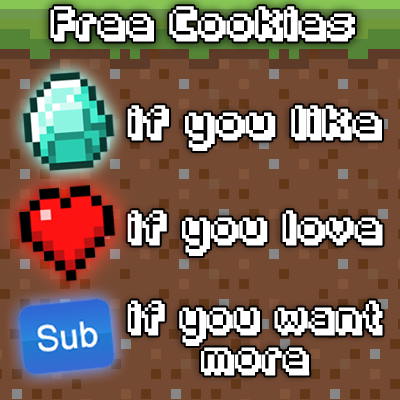 i gave a diamond and didnt get a cookie..
How do you do this with players/skins? I like it but i just can NOT figure out how to include the Player! go to entities, press select skin, select the skin and then it gives you a bunch of different options. You can not include players in Chunky, try using Blender, Cinema 4D or Maya (Or Mine-Imator if you want to go even more simple). I use Blender and find it fine, with 1-2 years of self-taught training. You need the actual world file, if you can get that off a server then yes. Hello. I'm having trouble with this program. The thing is, it's slower than my Windows 98 computer that we have stored in the basement. The computer I'm using is brand new. I got it two weeks ago today. It has Windows 8 on it so that's probably a major factor in this. It's an HP, which are usually nice and fast computers. But, when loading up the map, this program is so slow. Have any advice as to what I could do? The size of your image is most likely too big, try changing the window size. When I try to install this it acts like it was installed but does nothing? Why won't it work with the Vircidia texturepack? I actually have this problem as well, anyways just use johnsmith they are basically the same. Vircidia is a version of johnsmith it even says so in the description. Can I have a link to your copy. Whenever i try to load a sky map from the website onto Chunky, it gives me errors. Any suggestions? Oh. My. God. This is perfect. Thanks mate :D Any chance of a link to the skybox you used? Why does yours look great as soon as you start the render, while mine looks like a noisy piece of crap? If you have emitters switched on then the render will immediately take longer to look less noisy. Also if you have fog or depth of field on it might start the same. Give it some time and the noise goes away eventually! LOL thanks <3 I guess they just want to tell me that they appreciate the tutorial so much they want to diamond. Mac users have it so easy. Every time I attempt to download something there's some sort of error. Awesome Video! Here's your 45th Diamond! It can be done on any computer, it'll just take longer! Actually, the SPP timer has still taking too long in quality. But I'm not sure about low quality with noise or even high quality without noise rendering. It makes me feel happy to know that minecraftia is still populated by awesome English folks like us. :) Its great isn't it?! I can't get Chunky to work well. I am so useless >. Btw, say that I wanna make a Neptune render. Does the program support non-vanilla blocks and dimensions, or is it just builds? Thanks! Sadly it doesn't at the moment :( It only even supports the overworld, not the nether or the end.